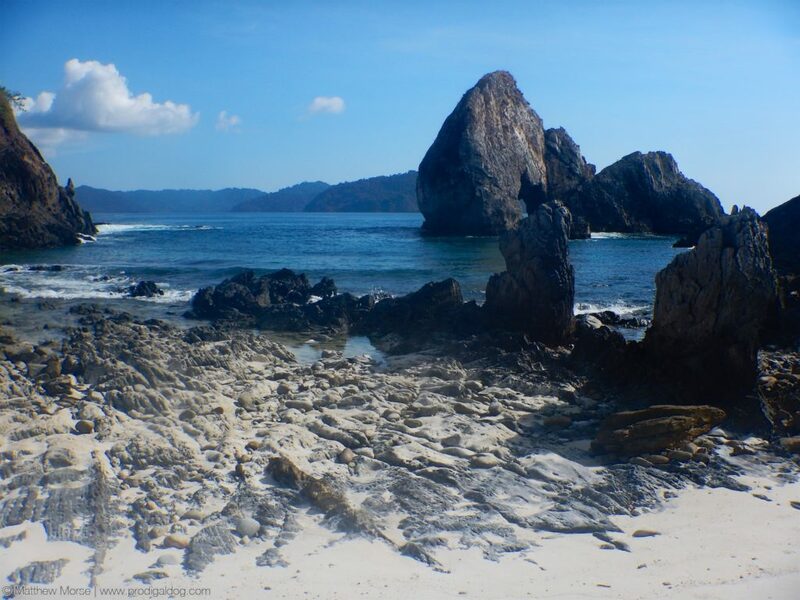 In the far southeast edge of Myanmar/Burma sits a series of islands that are among the most untouched and remote in the world: the Mergui Archipelago. 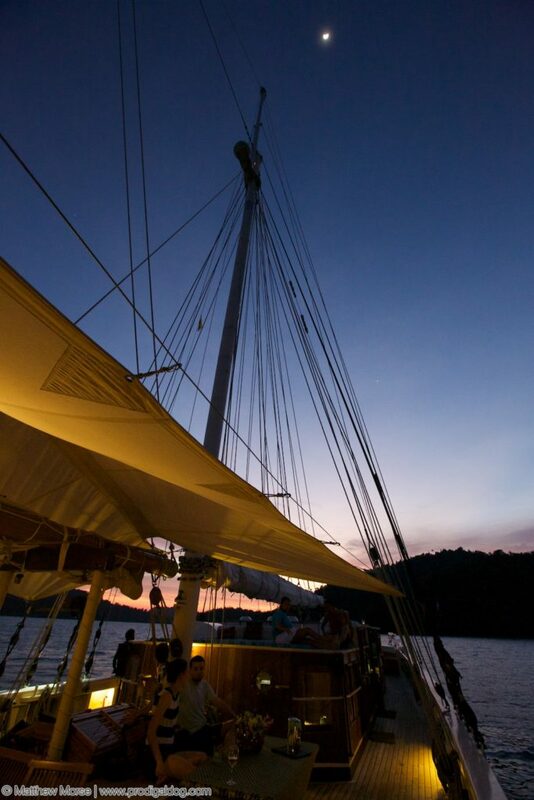 Visiting the Mergui Archipelago requires some advanced planning and time, but getting there is not as difficult as you think. 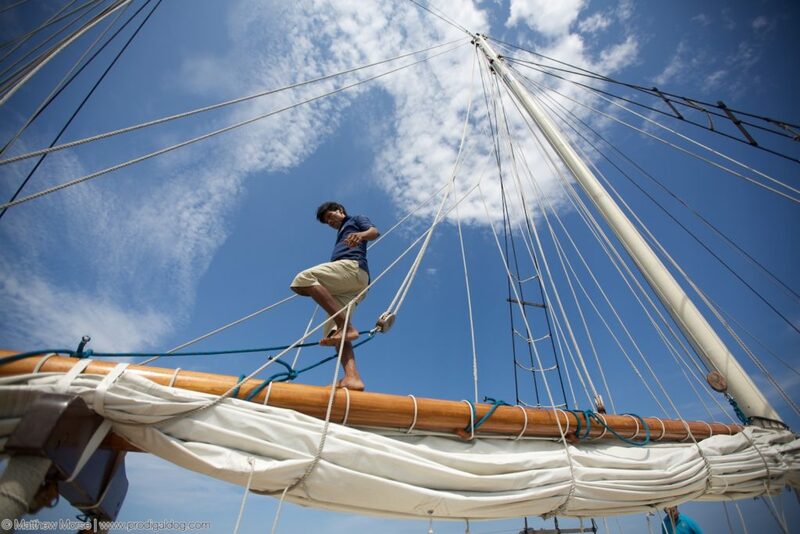 Many people know the region for the Moken sea gypsies, a topic I’ve written on in the past. 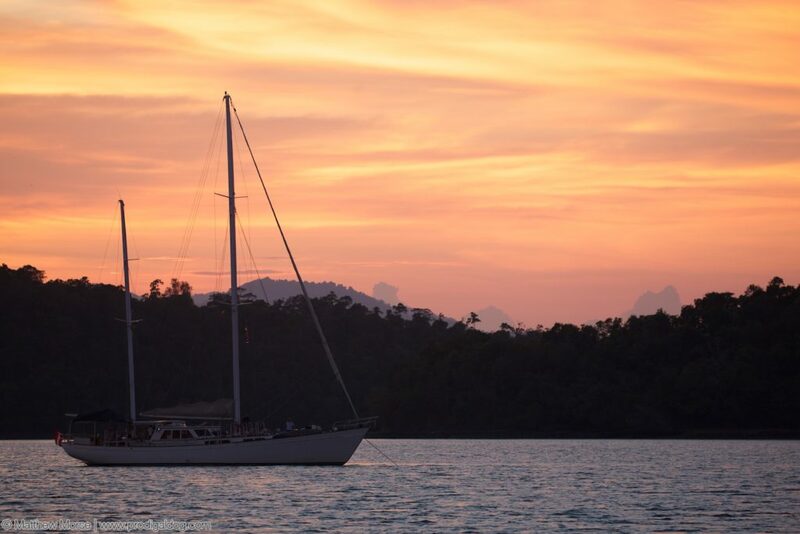 Visiting the Mergui Archipelago is the only way to see the Moken sea gypsies, but the trip is well worth it and provides an opportunity to see some of the most remote, untouched islands anywhere. Pre-departure briefing on our route and destinations within the Mergui Archipelago! 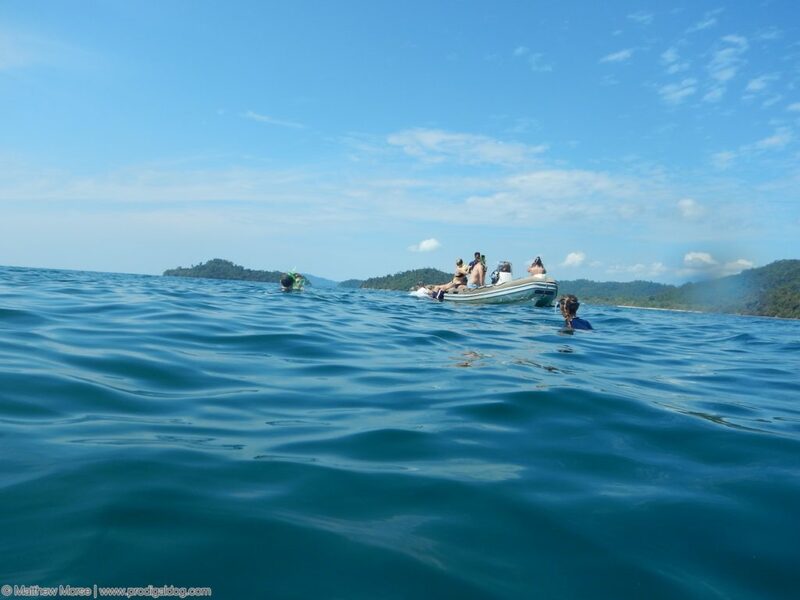 One of the few departure points to visit the Mergui Archipelago is out of the Myanmar/Burmese port of Kawthoung, which is located at the very southern tip of the country and is just across an inlet from Ranong, Thailand. I flew domestically from Yangon/Rangoon to Kawthoung Airport, although as of this posting you can also fly from Bangkok to Ranong on Nok Air, then take a small boat across. 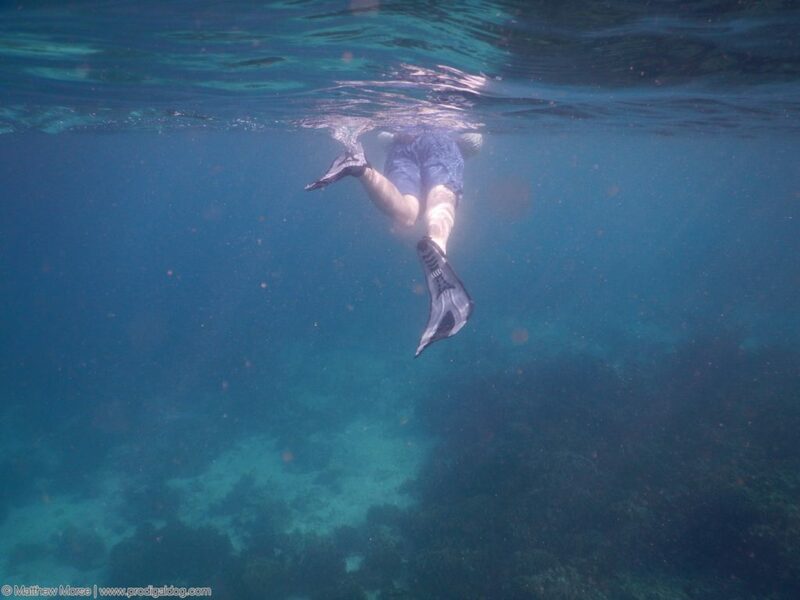 I’d plan in advance and have a tour of the Mergui Archipelago already booked, and keep in mind that the season ends around late April/early May. After that, the monsoon season starts and most tour companies close up for the season. I went in April and it was hot, upwards of 110+ (43C+) on some days — one day the sunlit deck of the sailboat was literally hot enough to fry an egg, but you could always cool off in the sea and the sea-breeze kept things reasonable. This small fishing boat on the horizon was the last boat we saw for hours! Although the Mergui Archipelago isn’t as nearly closed off as it was in the early 2000’s, entry by foreigners is still strictly controlled. Before departing, Myanmar Immigration officers boarded our boat and gathered the passports of all guests and crew until we returned to port. It was a little unsettling at first, but the officers were extremely friendly, and — keep in mind — they really want to protect this natural treasure, so it’s important they control entry. You can book a tour of nearly any length —from overnight to 1-2 weeks, although there are not many approved operators (and nowhere to resupply), so longer voyages can really put a dent in your pocketbook. 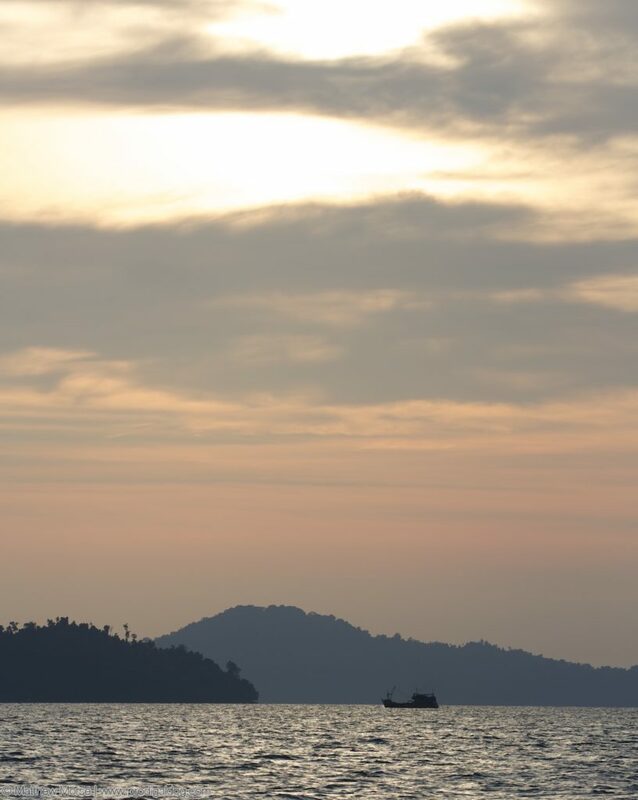 Once we left the Kawthoung & Ranong area, we could go hours without seeing another boat — even far away on the horizon. This is truly one of the last undiscovered places. The islands themselves were beautiful, peppered throughout the Andaman Sea in all shapes and sizes. Many had immaculate beaches where you could easily spend a day relaxing or exploring and have the entire island to yourself. As mentioned earlier, we also made two stops in villages of Moken sea gypsies, which was a one of a kind experience. Stay tuned to The Prodigal Dog for more posts on Myanmar and the Andaman Sea (and check out our post on Mandalay). And don’t forget to subscribe!